Warmest congratulations to Colonel Paul Shepherd, Lieutenant Colonel Alistair Spowage and George Atkinson who have been awarded the OBE, MBE and BEM respectively in the Queen’s Birthday Honours List, published today. Colonel Paul Shepherd OBE TD has been Commandant of 1st Northern Ireland Battalion Army Cadet Force since 2007. His award is in recognition of his outstanding leadership, which has helped the ACF to flourish in Northern Ireland in unique and challenging circumstances. He was previously an officer in the Territorial Army. 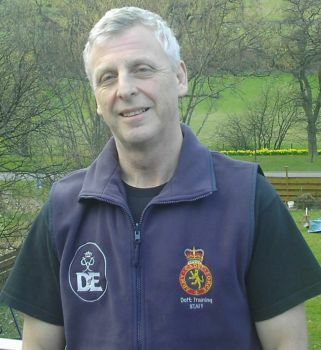 Lieutenant Colonel Alistair Spowage MBE DL (pictured)has been the Development Manager for The Duke of Edinburgh’s Award in the Army Cadet Force across the United Kingdom since 1993. He first joined the ACF as a cadet aged 13. He went on to become a schoolteacher and stayed in the ACF as an adult volunteer, progressing through the ranks to serve as a Detachment Commander, County Training Officer, Company Commander and eventually Deputy Commandant. Outside the ACF he is a member of the DofE Scottish Advisory Committee and the Scottish Training Network. He is closely involved with the Scout movement and the Tullochan Trust. He is also a Deputy Lieutenant of Clackmannanshire. Army cadet veteran George Atkinson BEM was rewarded for an incredible 73 years’ service with the First Battalion of Durham Light Infantry’s Band and Bugles. He has been bestowed the British Empire Medal (BEM) which he described as “easily the greatest honour of my life”. George joined the ACF as a cadet at the age of 12 and rose to the rank of Regimental Sergeant Major. During his cadet career he has has performed the Last Post and Reveille at civic occasions across the UK and Europe – including two appearances before HM The Queen. Mr Atkinson still plays his bugle and passes on his expertise to cadets twice a week at a cadet detachment in Chester-le-Street, Durham. All three awards are thoroughly well-deserved, and it is particularly special to receive such awards during Her Majesty’s Diamond Jubilee year.